Jacek Grudzień studied composition with Włodzimierz Kotoński and improvisation with Szabolcs Esztenyi at the Warsaw Academy of Music. Grudzień’s compositional debut took place at the International Festival of Contemporary Music “Warsaw Autumn” in 1983. He has participated in the International Courses for Young Composers at Kazimierz Dolny, Darmstadt, Patras and Dartington. In 1986 he received a postgraduate scholarship granted by Witold Lutosławski. He went to London where he studied electronic music and MIDI systems. Grudzień is a winner of the Young Composers’ Competition organised by the Polish Composers’ Union (Second Prize, 1988) and the Polish nationwide competition for a classical guitar piece. His music has been performed in France, Japan, Switzerland, the United States and Germany. In 2003 his Ad Naan for cello and electronics was recognized at the UNESCO’s Composers’ Tribune in Vienna. For the past twenty years, Grudzień’s interests shifted more strongly towards music for film and theatre. His score for Tout un hivier sans feu received accolades at the Venice Film Festival in 2004. Grudzień’s scores for theatre production of Mary Stuart was awarded a prize at the Polish Radio and TV Festival in Sopot in 2005 and the music for T.E.O.R.E.M.A.T. received the Ministry of Culture Prize in 2010. 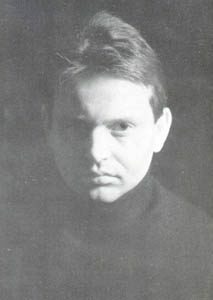 During the years 2001-2008 Jacek Grudzień served as music director of the Witkiewicz Theatre Studio in Warsaw and is currently working with Polish Radio’s Experimental Music Studio.